Norwegians eat twice as many eggs at Easter than in the rest of the year. The total consumption is approximately 4.6 million eggs a day, which equates to almost one egg per Norwegian, according to Norwegian Ministry of Agriculture and Food and the agricultural cooperative Nortura. The reason why many Norwegians eat many eggs at Easter is somewhat unclear. The egg is traditionally a fertility symbol, but has also been a Christian symbol. In the past, eggs were a rare commodity and regarded as food for special occasions. If you are one of many egg lovers, be proud of your devotion. 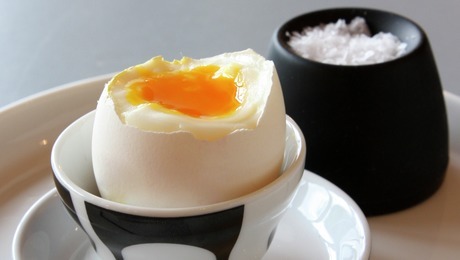 The egg is so nutritious that it almost is like eating meat and fish simultaneously. – No wonder, since the egg contains everything needed to create a vibrantly alive chicken, says Birger Svihus, Professor of Nutrition at Norwegian University of Environmental and Life Sciences to research portal forskning.no. The egg is the food richest in minerals, vitamins and other important nutrients. The egg is also one of the few good land-based sources to vitamin D and selenium. It also contains high quality protein, meaning that it is very effective for building muscles. – In addition to that the egg beats most animal products in terms of content of vitamins and minerals it contains only ten percent fat, which is less than many other animal foods. Consequently, the egg contributes little to obesity, says Svihus. Besides, the egg is finished packaged, something no other foods are, according to the professor. Animals must be slaughtered and packaged and milk processed under strict hygienic conditions. Undoubtedly eggs contain much cholesterol, as much as 420 milligrams per 100 grams (3.53 oz), but scientists are no longer so sure of the relationship between cholesterol and diseases, and advice on the consumption of eggs has already been eased.